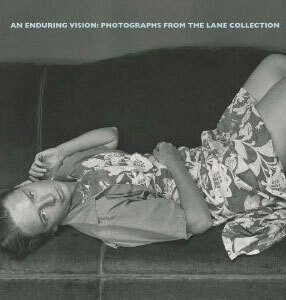 Among private collections of fine photography, the Lane Collection stands out as one of the most remarkable. Begun in the 1960s and still ongoing, the collection shines not only for its wealth of top-quality prints by the great modernist triumvirate of Ansel Adams, Charles Sheeler and Edward Weston (including the most important single holding of Adams' work), but also for its breadth. 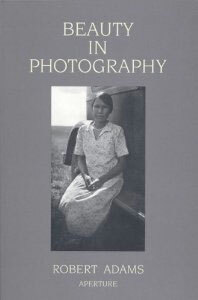 This volume presents 120 photographic masterpieces from the Lane Collection, ranging from William Henry Fox Talbot to the Starn twins, and including along the way work by Arbus, Brancusi, Bravo, Cunningham, Frank, Fuss, Goldin, Kertesz, Lange, Michals, Modotti, Morell, Penn, Steichen, Strand, Sudek and nearly 50 others. The keynote essay by Lyle Rexer trains an acute eye on images from the collection, defining the vision behind this magnificent grouping. 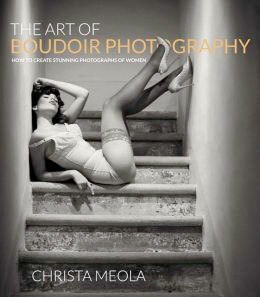 But it is the images themselves that place this among the most significant photography books of the year. Published on the occasion of its sixtieth anniversary, this is the first ever anthology of Aperture magazine. This long-awaited overview provides a selection of the best critical writing from the first 25 years of the magazine--the period spanning the tenure of cofounder and editor Minor White. Aperture was established in 1952 by a group of photographers, including Ansel Adams, Dorothea Lange, Barbara Morgan and historian-curators Beaumont and Nancy Newhall. Their intention was to provide a forum "in which photographers can talk straight to each other, discuss the problems that face photography as profession an art, share their experiences, comment on what goes on, descry the new potentials." 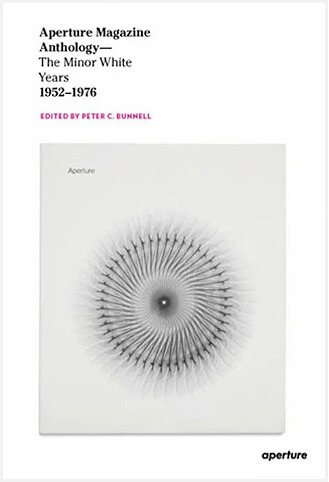 With its far-ranging interests in diverse photographic styles, myriad themes and subjects (including a strong streak of spirituality in diverse forms) and an adventurous commitment to a broad international range, Aperture has had a profound impact on the course of fine-art photography. The texts and visuals in this anthology were selected by Peter C. Bunnell, White's protégé and an early member of the Aperture staff, who went on to become a major force in photography as an influential writer, curator and professor. Several articles are reproduced in facsimile, and the publication is enlivened throughout by other features, including a portfolio of exceptional covers, as well as a selection of the colophons (short statements or quotes) that appeared at the front of each magazine. In 1935 the renowned photographer Berenice Abbott set out on a five-year, WPA-funded project to document New York's transformation from a nineteenth-century city into a modern metropolis of towering skyscrapers. The result was the landmark publication Changing New York, a milestone in the history of photography that stands as an indispensable record of the Depression-era city. More than sixty years later, New York is an even denser city of steel-and-glass and restless energy. Guided by Abbott's voice and vision, New York photographer Douglas Levere has revisited the sites of 100 of Abbott's photographs, meticulously duplicating her compositions with exacting detail; each shot is taken at the same time of day, at the same time of year, and with the same type of camera. 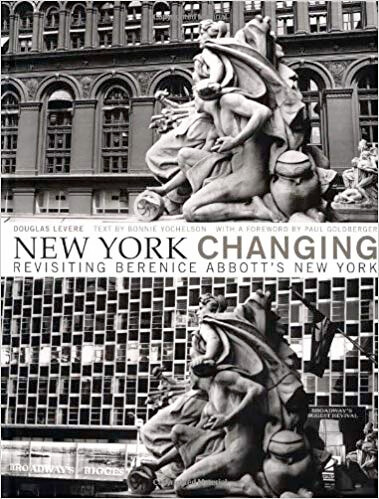 New York Changing pairs Levere's and Abbott's images, resulting in a remarkable commentary on the evolution of a metropolis known for constantly reinventing itself. 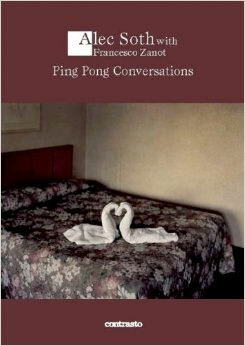 Ping Pong Conversations is a long, friendly conversation between Alec Soth, one of the most prominent artist of this time, and the Italian curator and critic Francesco Zanot. Analyzing his most famous photographs as well as others that have been published or are virtually unknown, Soth reflects upon his career as a photographer. Each picture gives rise to a charter of its own, an original thought or reflection. Storytelling and the use of color and black and white, staged and candid approaches, and personal and political issues are just a few of the many arguments that the American photographer discusses with Francesco Zanot, resulting in a combination of words and images that constitutes both a complex examination of Alec Soth's work and a manual on that reading of photography itself. Soth’s images are shuffled together here to form new sequences: tracing the threads of memories, addressing cultural issues and references, and thus creating unforeseen and unforeseeable connections. Amelia is 14 years old. In many ways, she is your average American teenager: since she was three years old, she has been her mother's muse, and the subject of her photographs. However, not every mom is a world-class photographer with a predilection for photographing animals. And it's not every teenager who has portraits of herself with elephants, llamas, ponies, tigers, kangaroos, chimpanzees and endless dogs, cats, and other animals--portraits that hang in the collections of major art museums around the world. 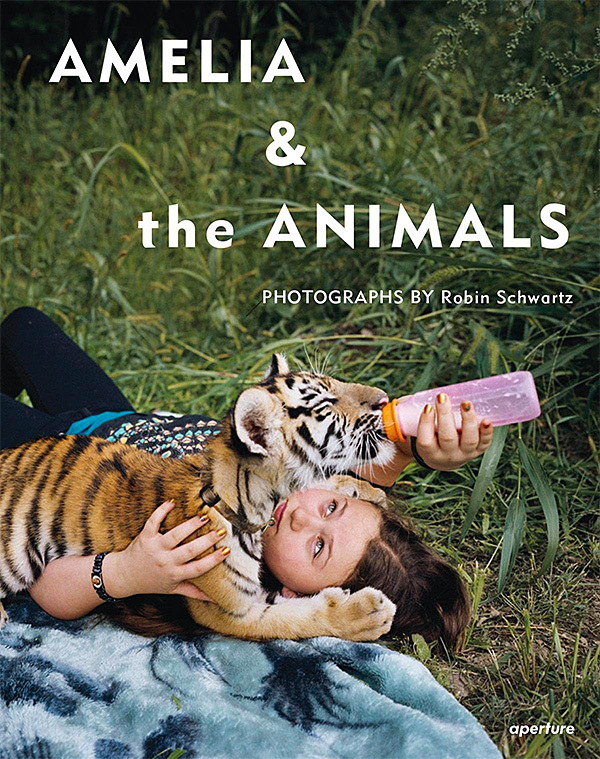 Amelia and the Animals is Robin Schwartz's second monograph featuring this collaborative series dedicated to documenting her and Amelia's adventures among the animals. As Schwartz puts it, "Photography is a means for Amelia to meet animals. Until recently, she took these opportunities for granted. She didn't realize how unusual her encounters were until everyone started to tell her how lucky she was to meet so many animals." Nonetheless, these images are more than documents of Amelia and her rapport with animals; they offer a meditation on the nature of interspecies communication and serve as evidence of a shared mother-daughter journey into invented worlds. 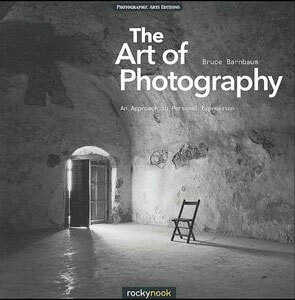 This is an updated and newly revised edition of the classic book The Art of Photography (originally published in 1994), which has often been described as the most readable, understandable, and complete textbook on photography. With well over 100 beautiful photographic illustrations in both black-and-white and color, as well as numerous charts, graphs, and tables, this book presents the world of photography to beginner, intermediate, and advanced photographers seeking to make a personal statement through the medium of photography. Without talking down to anyone, or talking over anyone's head, Barnbaum presents "how to" techniques for both traditional and digital approaches. Yet he goes well beyond the technical, as he delves deeply into the philosophical, expressive, and creative aspects of photography so often avoided in other books. The impact of the humble American snapshot has been anything but humble. 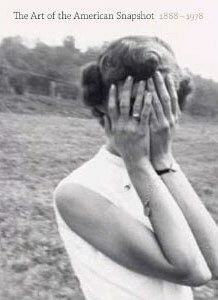 Any American who takes a snapshot contributes to a compelling and influential genre. Since 1888, when George Eastman introduced the Kodak camera and roll film, the snapshot has not only changed everyday American life and memory; it has also changed the history of fine art photography. The distinctive subject matter and visual vocabulary of the American snapshot--its poses, facial expressions, viewpoints, framing, and themes--influenced modernist photographers as they explored spontaneity, objectivity, and new topics and perspectives. A richly illustrated chronicle of the first century of snapshot photography in America, The Art of the American Snapshot is the first book to examine the evolution of this most common form of American photography. The book shows that among the countless snapshots taken by American amateurs, some works, through intention or accident, continue to resonate long after their intimate context and original meaning have been lost. The catalogue of a fall 2007 exhibition at the National Gallery of Art in Washington, DC, The Art of the American Snapshot reproduces some 250 snapshots drawn from Robert Jackson's outstanding collection and from a recent gift Jackson made to the museum. Organized decade by decade, the book traces the evolution of American snapshot imagery and describes how technical, social, and cultural factors affected the look of snapshots at different periods.